NE-Stuff: Propster - Electric Ice "boat"
Propster - Electric Ice "boat"
A forum thread in Swedish about the Propster project. English Google translation of the above forum thread. 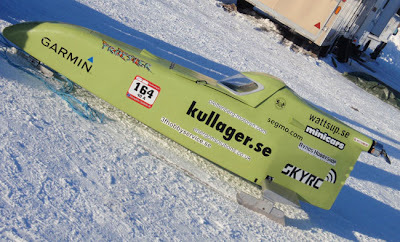 Update: the official time Jonas got on the flying 1000 km was an 130 km/h average with a top speed of 143 kmh!